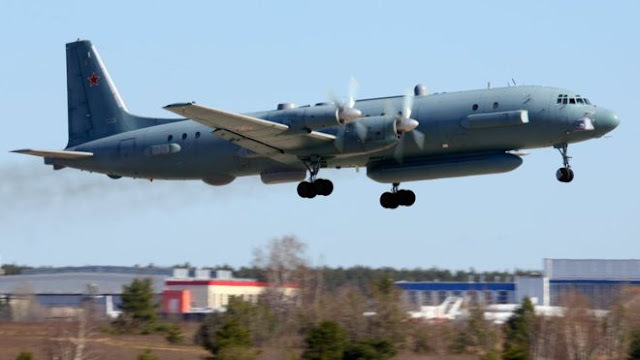 Israeli military delegation led by air force commander to travel to Moscow to share information on Il-20 plane crash. The Israeli military delegation led by Air Force Commander Maj. Gen. Amikam Norkin will travel to Moscow on September 20 with information about the crash of a Russian Il-20 reconnaissance aircraft off the Syrian coast that killed 15 military personnel, the IDF press service said Wednesday. "The Air Force Commander and accompanying officials will present a picture of what happened in all its aspects, including… the main conclusions of the investigation conducted by the Israeli Defense Forces," the press service said in a statement. This is interesting. The Israelis have stated their version of the story and we're talking about a region that probably has the highest level of ISR assets dedicated to it in the world, yet they still feel a need to send their Air Force Commander to Moscow? This seems more than just an effort to smooth things over with Russia. More has to be going on here than meets the eye, I just don't know what. US Army Soldiers surrender weapons to Mexican troops WHILE ON US SOIL!